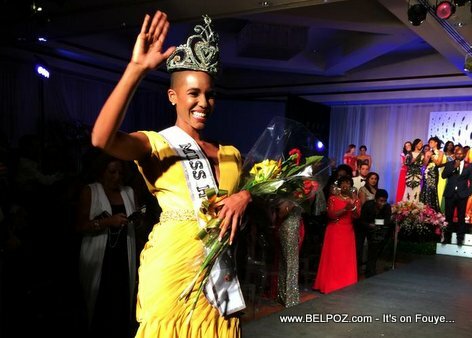 Carolyn Desert was crowned by the Minister of Tourisme herself, téphanie Balmir Villedrouin, in a ceremony hosted by Haitian hollywood actor Jimmy Jean-Loouis. « Miss Haiti 2014 is Tonight, Who will be the new Miss Haiti 2014? Congrats!!!! I admired you for you beauties both inside and outside. You are a great role model for young Generations. Among all of the previous Haitian misses, I prefer you. You are distinguished among them. you are such an amazing woman.